ChildChild Ticket: ages 6-12 yrs old. Under 6 are free. The King-Tisdell Cottage is a heritage museum named for its Black owners, Eugene and Sarah King, and Robert Tisdell. 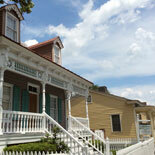 The Cottage is dedicated to the preservation of Black history and culture. The King's and the Tisdell's, working class families, who owned the house. 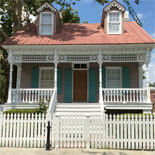 The King-Tisdell Cottage is Savannah's only Black History house museum. The main floor of this beautifully restored 1896 Victorian Cottage, tells the story of Eugene and Sarah King, the first black owners in 1920s Savannah, and the second owner of the house, Robert Tisdell. The Museum tells the story of blacks in Preservation, under the leadership of W. W. Law, in the historic Beach Institute neighborhood, where the King-Tisdell Cottage is located today. You will also learn the history of black Savannah from slavery to freedom. 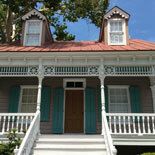 The King - Tisdell Cottage is dedicated to preserving the history and culture of Savannah and the Sea Islands. It educates the public on the Gullah-Geechee Culture. Gullah is an African based language spoken in the Sea Islands, coastal areas and adjacent mainland areas of Southeastern Georgia and South Carolina. The King-Tisdell Cottage Foundation manages the Beach Institute African American Culture Center, and the King-Tisdell Cottage. The Mission Statement of the King-Tisdell Cottage Foundation is: "To research, collect, interpret and present African American history and culture through exhibits, art, films, lectures, oral history, tours and publications. The Foundation endeavors to promote and disseminate information concerning this history and to celebrate the contributions of African Americans, especially in Georgia and the Sea Islands of South Carolina. The Foundation seeks to foster continued interracial understanding and appreciation of different cultures." Experience a part of America's history. Get your eTickets today for The King - Tisdell Cottage. Closed: Sunday and Monday; Closed Christmas Day, Thanksgiving Day and New Year's Day. Price St. and E. Gwinnette St. The Old Town Trolley stops at the King-Tisdell Cottage.